Researchers at EERL have been developing and refining methodologies on quantifying on-road emissions using mobile platforms since 2004. We have demonstrated a cost effective approach to characterize the emissions from a large number of on-road vehicles, which are critical to constructing more accurate mobile emission inventories to represent the on-road vehicle population. 1. Westerdahl et al. (2005) Mobile platform measurements of ultrafine particles and associated pollutant concentrations on freeways and residential streets in Los Angeles. Atmospheric Environment 2005, 39, (20), 3597-3610. 2. Westerdahl et al. (2008) The Los Angeles International Airport as a source of ultrafine particles and other pollutants to nearby communities. Atmospheric Environment 2008, 42, (13), 3143-3155. 3. Zhang et al., (2005) Evolution of particle number distributions near roadways Part III: Traffic analysis and on-road size resolved particulate emission factors. Atmospheric Environment 2005, 39, (22), 4155-4166. 4. Westerdahl et al. (2009) Characterization of on-road vehicle emission factors and microenvironmental air quality in Beijing, China. Atmospheric Environment 2009, 43, (3), 697-705. 5. 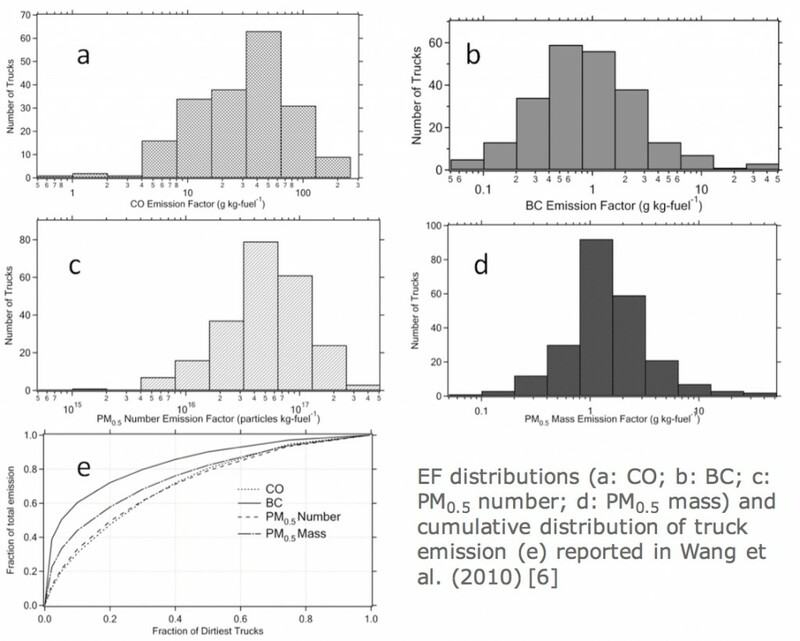 Wang et al., (2009) Evaluating the Air Quality Impacts of the 2008 Beijing Olympic Games: On-road Emission Factors and Black Carbon Profiles. Atmospheric Environment 2009, 43, 4535–4543.